For sure you’ve heard people saying they practice yoga and even naming one specific style. This mainly refers to the practice that will lead to a state of yoga. Now this may even confuse you more… But, what it is important to understand is the difference between “practicing yoga” and the “state of yoga”. If we take the “Patanjali’s Yoga Sutras” definition as reference, we could say that yoga is the state of where the perception (consciousness) is not affected by the ways of the mind. Meaning that the practice of yoga leads to a state of yoga. 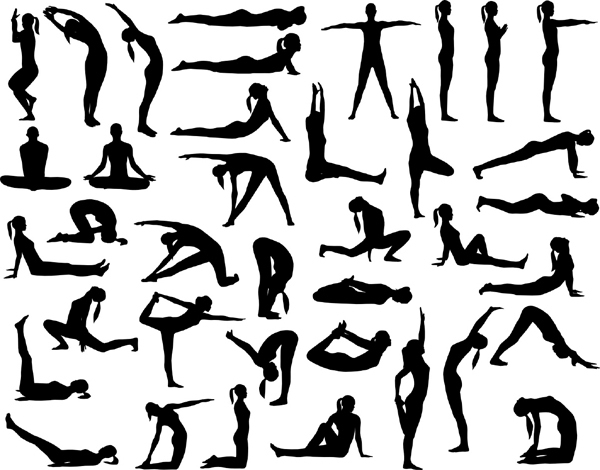 So when people say they practice yoga, they mostly refer to the “physical practice” of yoga postures (Asanas). But how does the practice of yoga postures lead to a “state of yoga” and what happens when the practice of yoga asanas becomes the goal? To explain: Yoga postures must be understood as “tools” to investigate, find out possibilities, and recognize our limitations and not to impose them to our body. This only causes more tension to our body. The process consists in “being sensible” about the impact of your actions. To reach this state, we must become aware of what is “happening in the present state”, in one word: “feel”. In this concept, thoughts or the constant mental activity is not required. If we focus on the organic sensation of a posture, leaving out any unpleasant and intense sensations, little by little the mental activity slows down and opens up to the “higher consciousness”. This is the “state of yoga”. Without this understanding and the practice of asanas becomes the goal, we simply slip into a state of “higher, faster, further”, limiting yoga to a sequence of physical exercises, along with all the consequences.